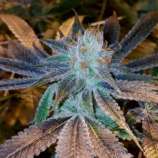 Here you can find a strain description about Lady Daze and also some user-based reviews and infos directly from the SeedFinder (if available). You can also find the offers and auctions here if Lady Daze cannabis seeds are on stock at MyCannapot right now. If Im going to sing like someone else, then I dont need to sing at all.  Billie Holiday. An innovator, a genius in the world of jazz. An inspirational singer and artist; ahead of her time. Lady Daze combines class with romance. Aromatic essences that soothe the mind body and soul. Discover a combination of sweet Bubba funk and Kush breath. Satin purple flowers and mind lifting highs. The Lady Daze is sure to impress. Buy Lady Daze now at MyCannapot!